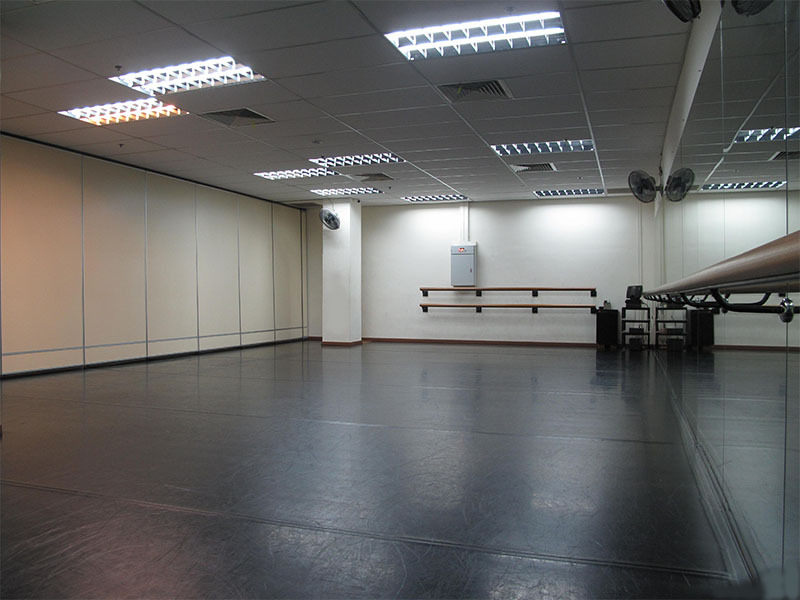 The Gold Studio is another of our larger studios at Dance On Us, able to accommodate 20 - 25 persons comfortably. 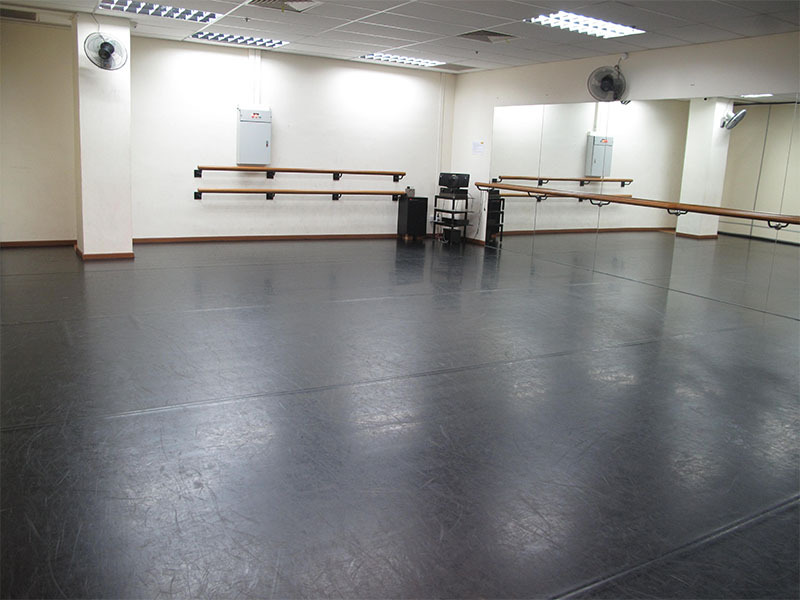 Like all the other studios, it has high quality timber sprung floors. 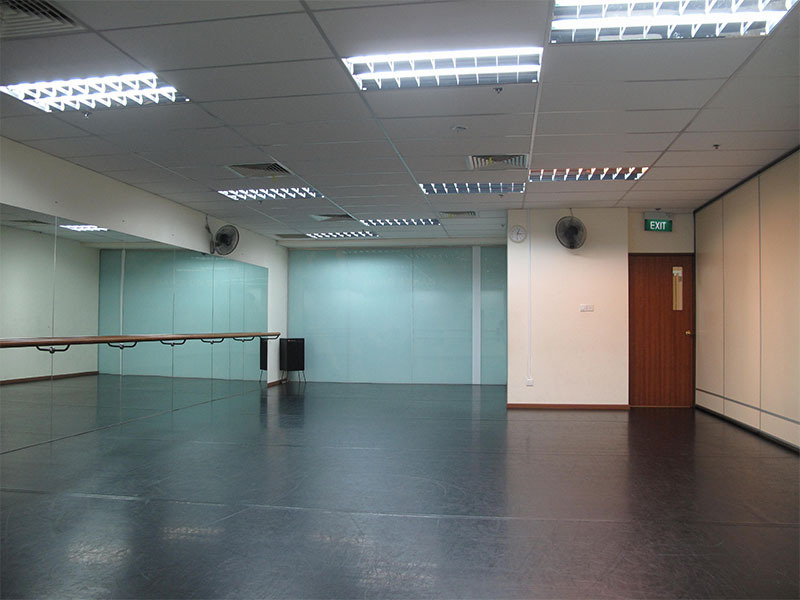 The studio is fully equipped with full-length mirrors, and an audio system which can operate CD's and MP3 players. (Payment by cash, cheque or Internet banking only). Studio booking is secured with payment. Rental is for a minimum of one hour, with extensions of 15 minute blocks. If you are already registered as a Hirer, you can click here for the Quick Booking Form. Or you can search via the top right brown column on this page (By Date/Studio Requirement or Capacity). Alternatively, please call Dance On Us (Tel: 6737-4466/96600093) to check on studio availability and for bookings. The building has central air-conditioning which is turned off at 10pm. Only wall-hung fans available for use after 10pm. Any cancellation/variation of a booking within 2 weeks of the booking date is subject to a penalty.